The weather the day of the Fire Museum’s Santa Rescue was quite nice, considering it was mid-December. Rather than heading directly home, I decided to take a walk in search of a place I had read about on Scouting New York’s blog. 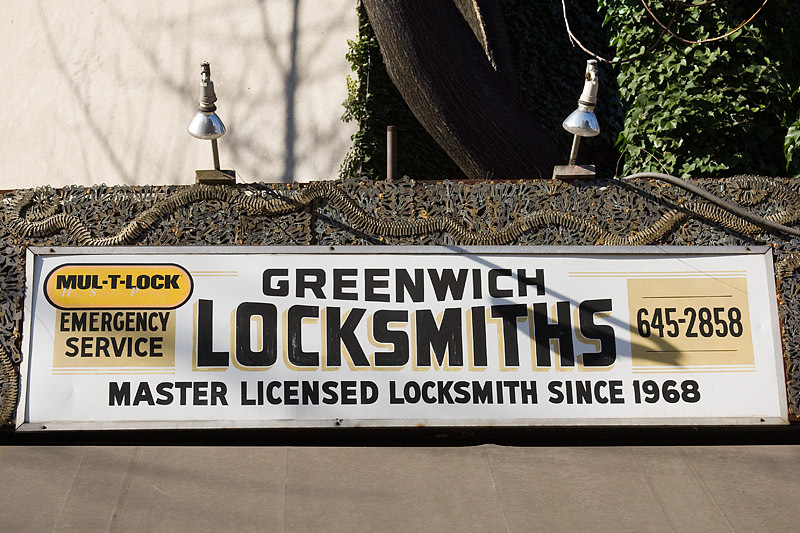 The museum is located on Spring street and a quick ten block stroll north on Varick found me in front of Greenwich Locksmiths. 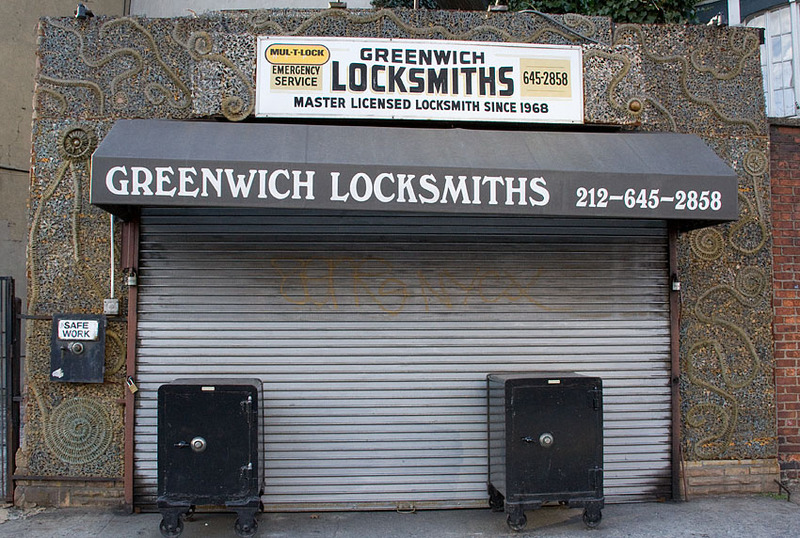 Locksmiths in this city are a dime a dozen, typically claustrophobic little places of business situated in storefronts crammed between two larger buildings. This establishment is a bit larger but what’s really remarkable about it is the facade. 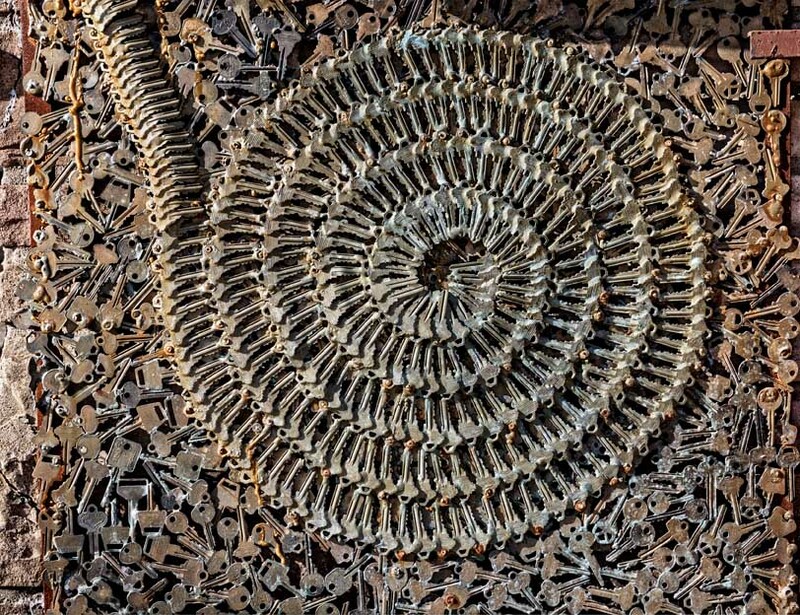 Greenwich Locksmiths is completely covered by thousands of keys, arrayed in interesting patterns. Photographs on Scout’s and the shop’s own website show that the building’s original facade was rather bland. Not long ago, the owner, Phil Mortillaro, decided to liven the place up and this was his solution. What a job he’s done. 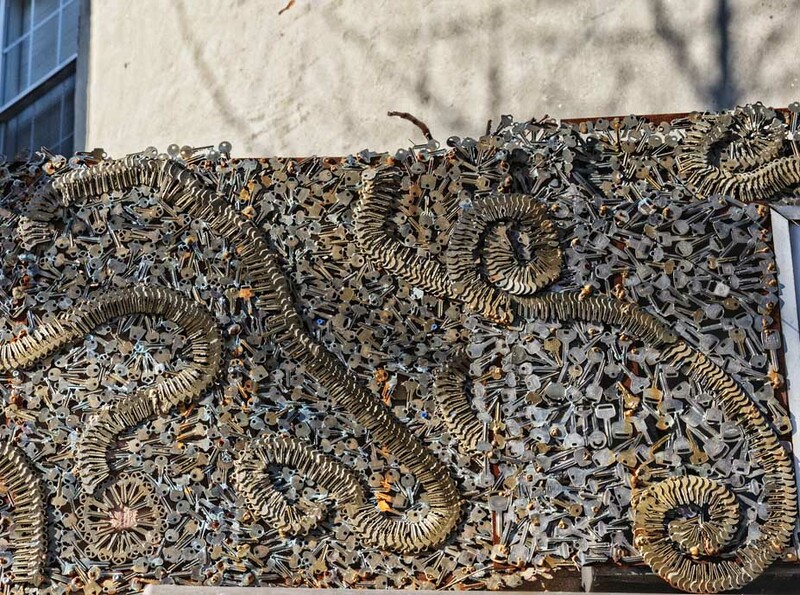 It’s difficult for me to imagine how managed to glue thousands of keys to on the wall without going absolutely batty. My hat is off to both his patience and creativity. I also appreciate his distinctly New York City sense of humor. 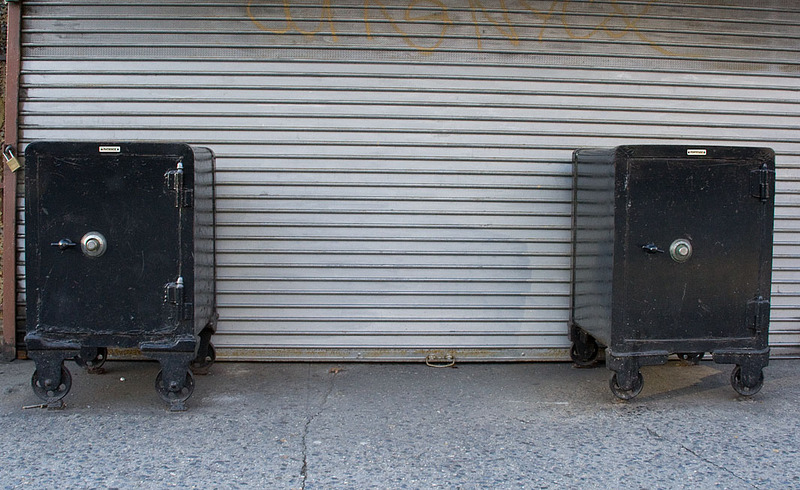 Two large black safes flank the entrance and are named Patience and Fortitude (trust me, those little gold labels say “Patience” and “Fortitude” – I’ve found that WordPress does a real tough job in compressing my images). The shop was closed when I stopped by during the weekend and the shop was closed. 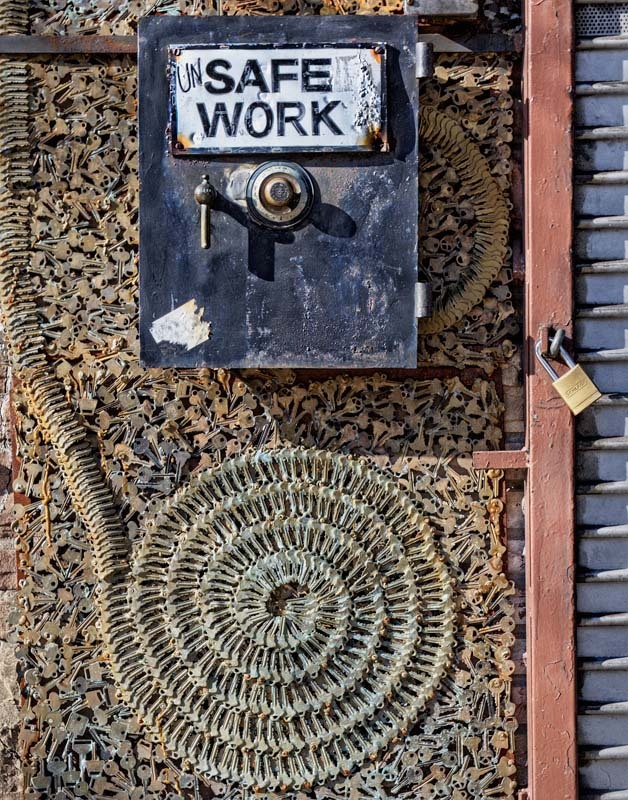 If you have a chance to wander around the West Village, stop by Greenwich Locksmiths, preferably during the week as more of his key artwork is visible behind the security gate. 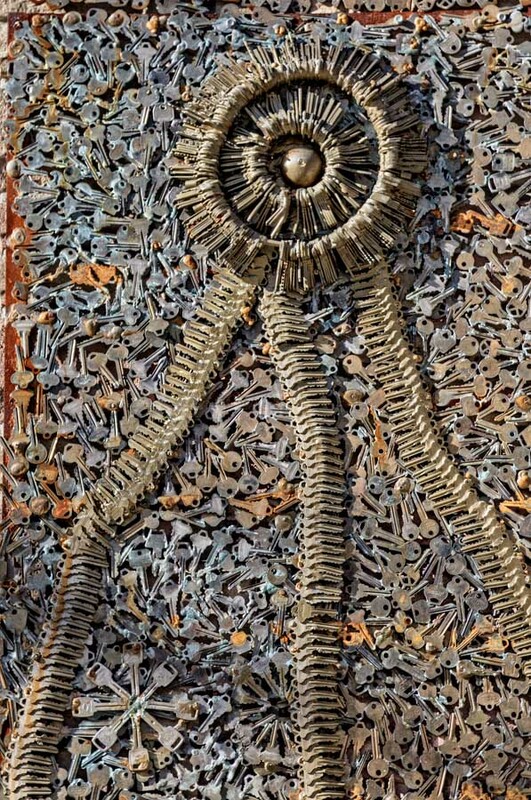 It’s truly a work of urban folk art. Scout’s website is also well worth the visit as he’s got tons of fascinating stories about New York and its environs.